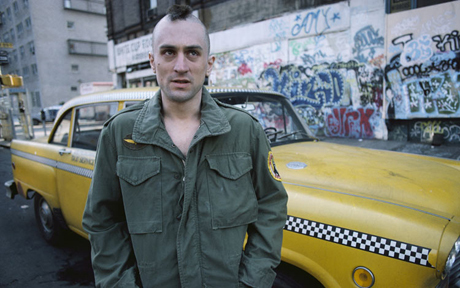 Whiskey and Taxi Driver. What more could you possibly want? Do you live in or near London? Are you free this evening? Do you enjoy drinking whiskey and watching amazing films? If you answered ‘yes’ to all of the above then hold onto your hats because we’re about to give you something wicked. Jameson Cult Film Club launch their 2010 screening series tonight with an ‘intimate’ screening of Taxi Driver inside the Brewer Street Car Park in Soho. It’s introduced by Riz Ahmed and I’ve been promised that it’s nothing like Secret Cinema, so all things considered it’s bound to be an awesome night. Winners must be 18 or over and able to get to Soho tonight. Closing time is 1pm so get your entry in quick. Don’t forget to sign up to the mailing list at jamesoncultfilmclub.com to be the first to hear about tickets for future events.